Tonight was the first time that I can remember seeing Orion’s bow. Maybe the sky hasn’t been dark enough where I’ve lived or else I didn’t know to look for it before. I didn’t know to look for it tonight either but it was just there sketched in the sky. There was couple of other very obvious shapes near to his bow. A catapult and a little shopping trolley. Looking at official star chart it appears they’re officially called ‘Taurus’ and ‘Pleiades’. There was another very bright light up past Orion’s shoulder which I think was Jupiter. A bow, a catapult, Jupiter and a little shopping trolley before things clouded over in Salthill. 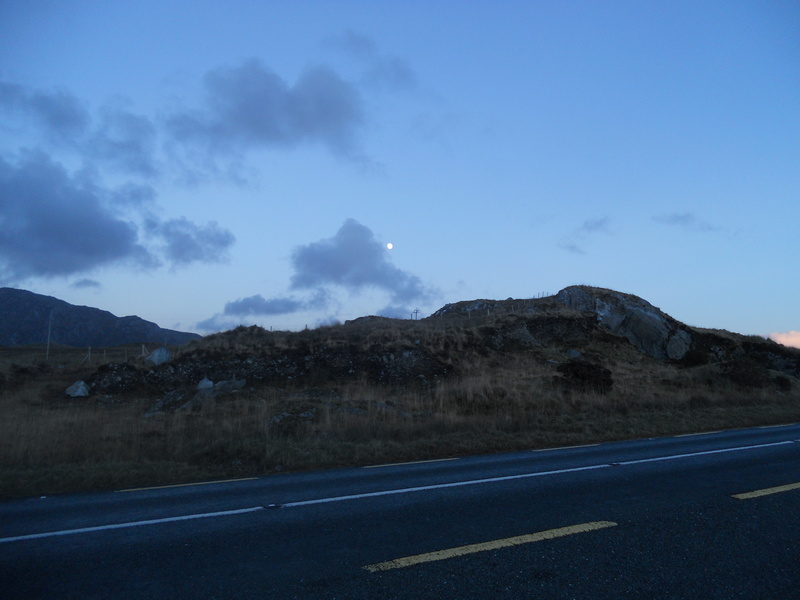 The moon was beautiful yesterday afternoon coming out of Clifden along the N59. then reappearing directly in front of the car and looking as if you could drive up to it as you ascended a hill. The most beautiful piece of music I remember hearing over the past number of years happened somewhere on a road in north Mayo while driving through a bog with nothing but bog all around. We where in our Fiat Punto, or maybe it was the newly acquired Nissan Almera. It doesn’t really matter either way which car it was, it was definitely a small car with a dodgy radio. One of us must have flicked onto Lyric FM and this piece of music by ‘The Gloaming‘ was playing. I was mesmerised. It took a bit of searching around the playlist of the radio show at some later date to find out what the song was called and there was no recording of it . So I never heard it again. But yesterday as chance would have it I heard it again because The Gloaming are releasing an album and NPR are offering a first listen. Listening to it again Song 44 didn’t seem quite as beautiful as it was on the north Mayo bog, but it is still beautiful. 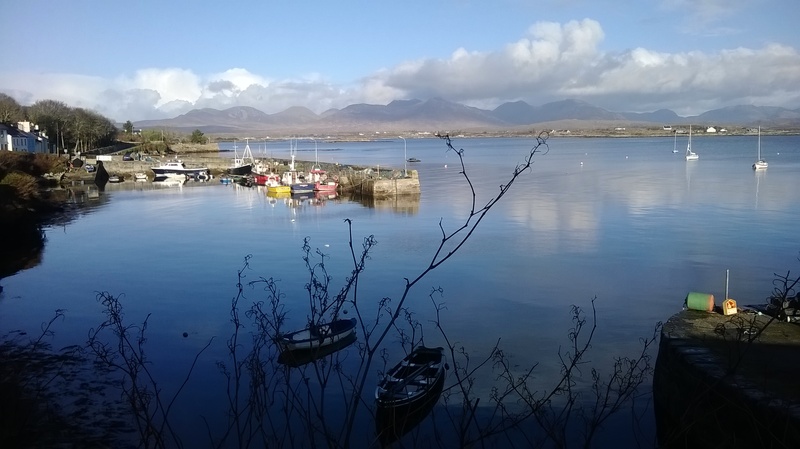 That particular moment in north Mayo was just one of those unexpected magical moments when everything just fitted together perfectly. It was a moment of grace, something which doesn’t happen often and can’t be planned. But now I’m no longer in small car with a dodgy radio and H___ on a summers day on a empty road in an Irish part of Ireland with a beautiful piece of music playing. No I’m in a cold living room on a damp evening veering between being a bit miserable to down in the dumps probably writing this blog to stop me thinking about the things I should have done that I haven’t done or to just occupy my mind and stop it wondering into dark corners and alleyways it should stay clear off. The dark gets on top a bit, as happens to lots of people this time of the year with the dark nights and damp air and all those other reasons that make it tough for people. I know that there is hope and redemption, beauty and light in life but the dark, damp, cold death seems to be just that little bit stronger sometimes. 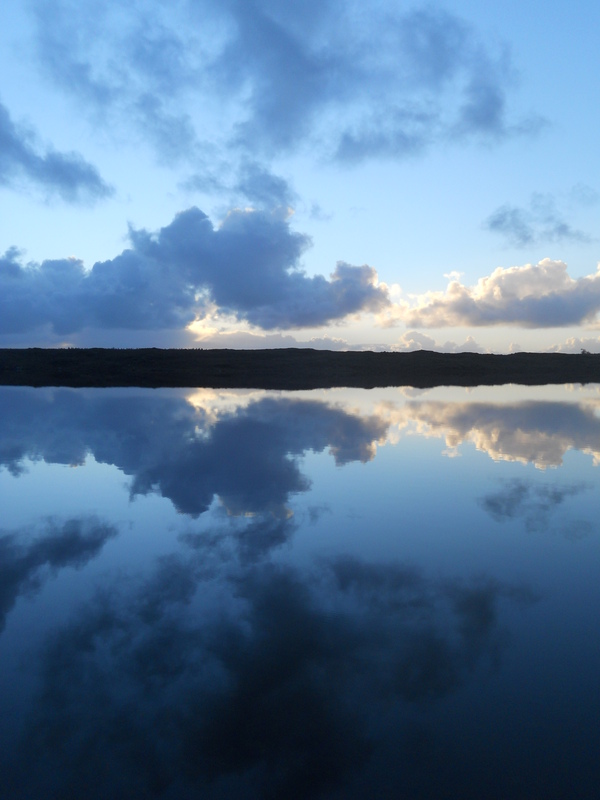 So when there are moments of beauty such as the reflection of clouds in Connemara loughs, the twilight moon, violins,Orion and The Plough over the house last night, the human voice singing in Gaelic that feed into some deep sense of life and joy inside as well I want to remember them. Particularly if you’re the type that finds it easier to remember the bad stuff. I have been reading (or struggling to read) a few essays from ‘When I was a Child I Read Books’ by Marilynne Robinson. And that little paragraph reminded me of what my friend JM had written the other day about listen(ing) to your life. Maybe reading a blog, book, poem, listening to music, appreciating art and the many other ways human beings express themselves is like looking up at a beautiful starry night and considering the heavens? You appreciate just that little bit more that each human soul is a deep mystery and maybe you start singing ‘How Great Thou Art’ or something? For if you’re going to consider all the works Thy Hands have made you can’t leave out people, and you can’t leave out yourself. You’re a marvel, I’m a marvel as well. 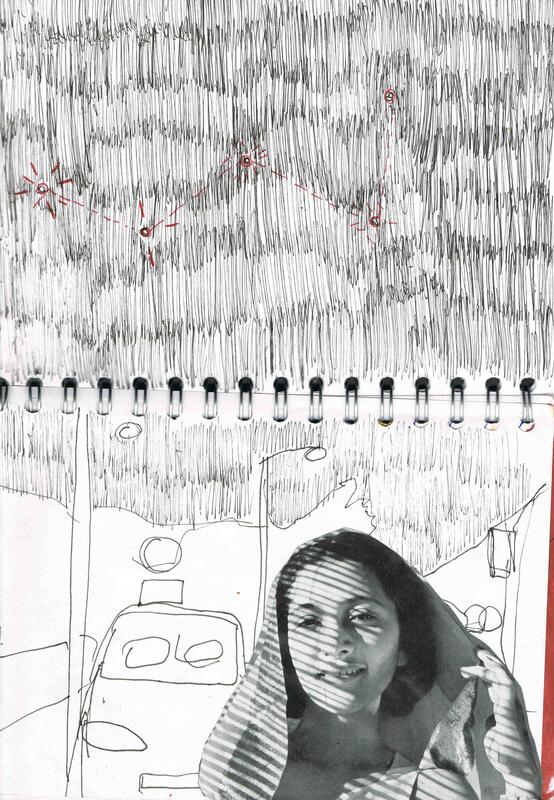 Yet whoever I pass on the street is an even grander marvel than our Milky Way. I have been trying to take more notice of the night sky and name the constellations, which has been slow work due to the permanent cloud cover and light pollution around Lambeg. Also it is hard not to look like you’re perving into the neighbours bedroom the way our house is…I’m not officer,I’m star naming!Honest! So last night the sky was clear and I took a peak upwards. It was straight above my head and almost painful to look at in the dark. 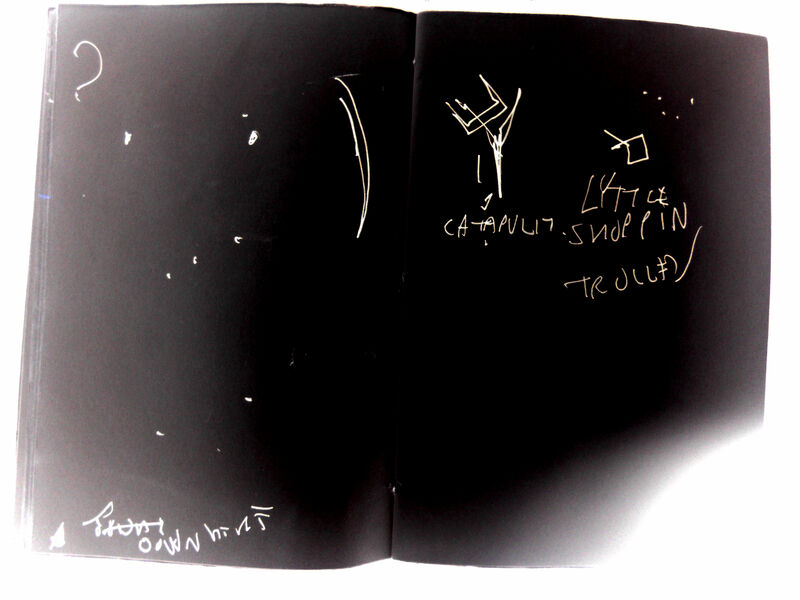 Starting with Cassiopeia (‘W’ as I like to call it) I had a glance around to see if there was any shape sticking out. For whatever reason I find it incredibly hard to read star maps (as the contain stars that I can’t see here) but eventually I found the proper name for The Pentagon, Auriga. And look at that!Capella! Which sounds almost like Capello! And so the brightest star in Auriga shall henceforth be named ‘Fabio’ after England, AC Milan and Real Madrid manager Fabio Capello. I’m not sure why I’ll not remember the proper name for Auriga. 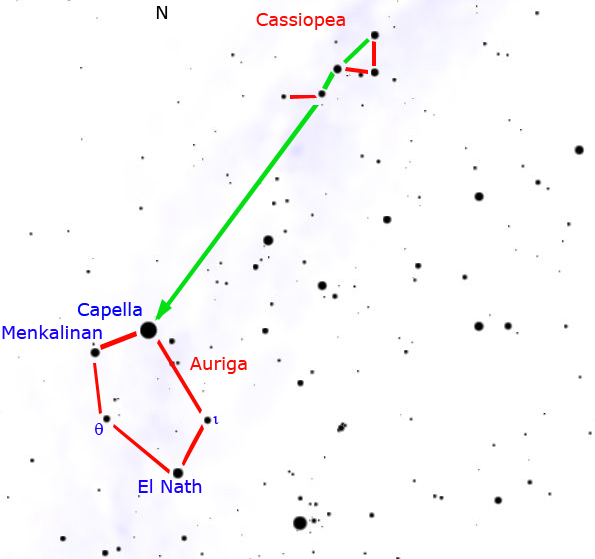 Cassiopeia, Orion and The Plough yes, Auriga No. It sounds very similar to ‘arigula’ which is what they call rocket over in the USA but apart from that it seems to be a very unexciting star constellation that would pass you by 9 times out of 10. If there are as many stars out there in the universe as we are led to believe and if we had powerful enough eyes (plus a bit of imagination) could we have any number of unnamed star constellations? 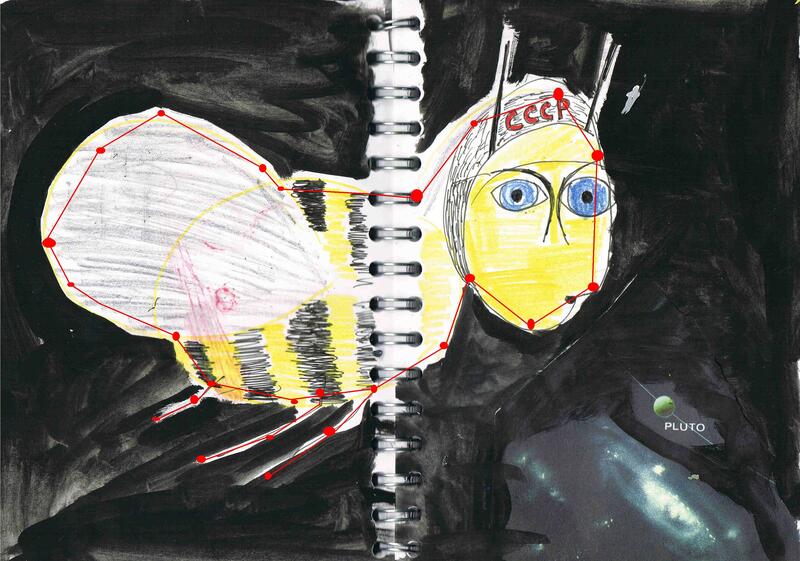 So, introducing the Giant Space Bee. Is it safe to assume then that the Giant Space Bee is up there, looking down on us from every concievable angle if we had powerful enough eyes? 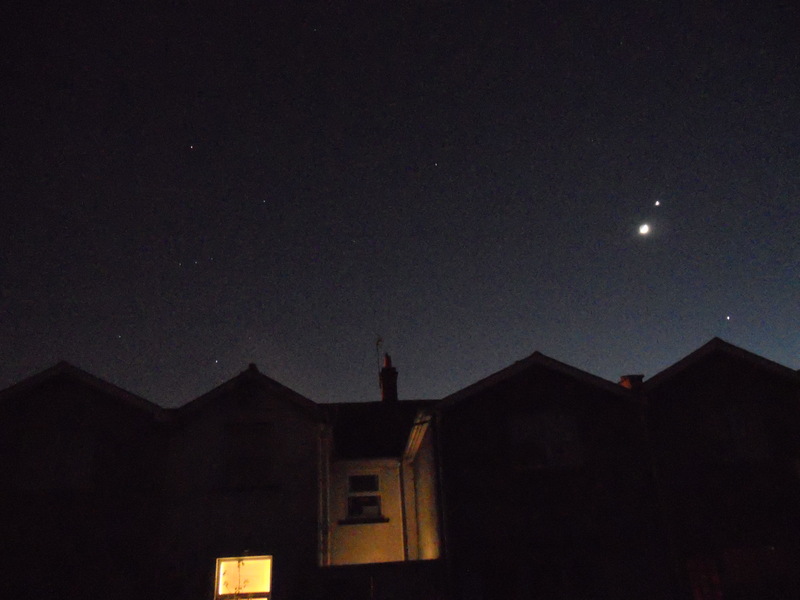 Thursday night was so mild that I was able to sit outside and look up at the night sky from my backyard. Directly above was the distinctive little star formation that looks like a ‘W’. For years I have noticed the ‘W’ but never asked for its proper name. Until this morning that is. The beautiful ‘W’ in the sky is called Cassiopeia (after a beautiful but vain queen in Greek mythology). The star at the bottom of the 2nd V in the W shape is over 500 times brighter than the sun and 230 light year away. If we had entered a rocket that could travel at the speed of light 230 years ago (the time William Pitt the Younger was entering Parliament) we would be only reaching the star now. The night sky could simply blow your mind up.